Fifa conspires with Russia to cover up doping! FIFA and World Cup hosts Russia are plunged into fresh doping turmoil, as The Mail on Sunday reveal new evidence of state-sponsored doping and cover-ups the world governing body have buried. The incredible details include new information about how Russia’s Sports Ministry covered up the positive test of one of the players initially named in their World Cup squad and then swapped his tainted urine for a clean sample. This comes as fans around the world, including Russia, have renewed doubts about the trustworthiness of the national team following their record-breaking start to this World Cup. We can reveal that FIFA had documentary proof of institutional cover-ups in Russian football 18 months ago — but have apparently done nothing to hold Russia’s FA or Sports Ministry to account. The scale of the corruption was huge, with investigators saying 155 Russian football doping cases they uncovered were the ‘tip of the iceberg’ and at least 34 of those produced paperwork, testimony and other corroboration they felt would give FIFA a good chance of formal disciplinary proceedings. Russia go into their third Group A match on Monday with two wins and eight goals from two games, or the best start by tournament hosts ever, having not won for almost a year. The fact that their players combined have also run further in their two games than any nation — 143 miles (230km) — has left fans questioning their performances. 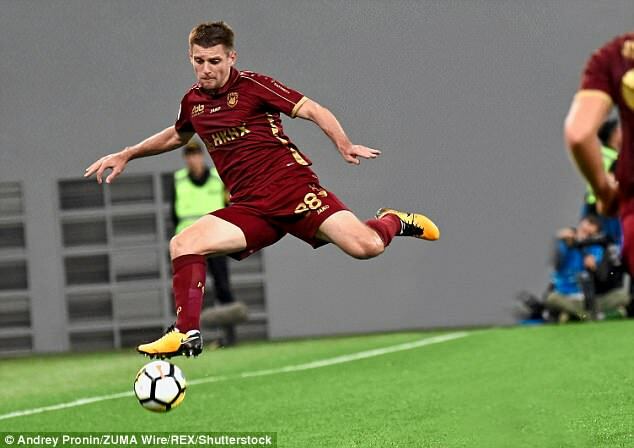 1: Saturday, May 30, 2015: Ruslan Kambolov, then 25, a defender with Rubin Kazan of the Russian Premier League, is selected for a doping test after the team’s 1-1 away league draw at Ufa. His sample tests positive for high levels of the steroid dexamethasone, indicative of recent use of the drug, banned in competition. His sample is given code number 3878295 within the Russian anti-doping system. 2: Wednesday, June 3, 2015: an email from the Russian anti-doping testers to sports ministry official Aleksey Velikodny and lab boss Grigory Rodchenkov at 10.30am informs them that a male Russian footballer tested positive for dexamethasone on May 30 ‘significantly over the threshold’. The purpose of this email is to seek guidance on how to ‘handle’ the case. 3: Thursday. June 4, 2015: an email from Velikodny back to the testers and copied to Rodchenkov orders ‘Save’ in regards to Kambolov’s sample; ‘Save’ has been established as the code phrase for ‘cover it up’. 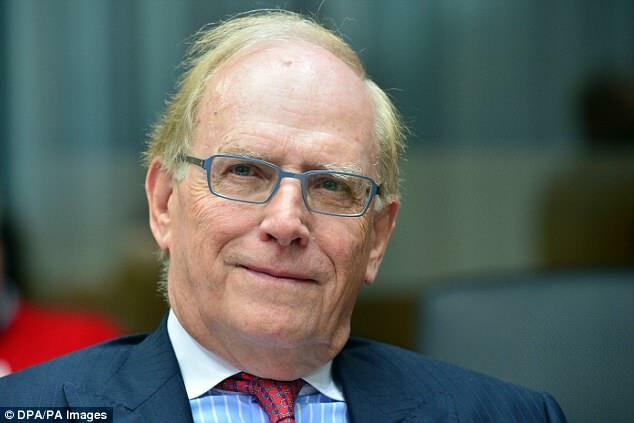 4: Two documents recovered during Prof Richard McLaren’s probe into Russian doping show how sample 3878295 was most similar in ‘profile’ to three samples stored within Russia’s 10,000-sample ‘clean urine bank’ amassed to keep the state-sponsored doping and cover-up system working. Those three samples came from a track and field athlete, a modern pentathlete (the closest match) and a weightlifter. 5: On Wednesday, June 10, diaries from Rodchenkov say that a Russian FSB officer Evgeny Blokhin arrives to oversee the urine swap. Rodchenkov testified Blokhin was the same FSB officer who oversaw urine swapping at the Sochi Olympics. Blokhin did not swap the urine but Rodchenkov’s diary says he oversaw ‘magicians who performed tricks’ to open Kambolov’s sample bottle, swap it and replace the lid. 6: FIFA knew nothing of this or other Russian football doping cases of the period because they were covered up. But when the plot was exposed, FIFA were given a dossier of evidence in December 2016. FIFA never explained how their probe worked, but it is believed they cleared Kambolov and took no action over the cover-up. FIFA did not know about that case or dozens of alleged others when they happened because Russia covered them up. FIFA only found out after WADA-appointed investigators gathered evidence. Kambolov’s case is just one of at least 34 alleged Russian football ‘dope conspiracy’ cases FIFA have since learned about but have been sitting on for 18 months; 23 of them involved Russia’s 2014 World Cup squad, as first detailed a year ago by The Mail on Sunday. FIFA continue to refuse to disclose any details of the case, or the identities of the individuals undertaking their ‘investigation’ into the matter, or explain with any detail how that has unfolded or when it will conclude. Pound, the most respected figure in global anti-doping, believes FIFA have been worried that outing Russian doping in football would have discredited this World Cup. ‘FIFA should have had something in place to give credibility to their investigation,’ he said. 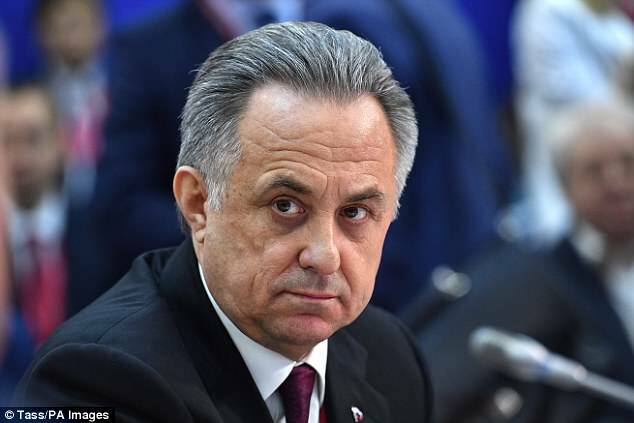 During the most notorious years of the recent Russian pan-sport doping scandal, both the Russian FA and Sports Ministry were headed by former FIFA executive committee member Vitaly Mutko, who also headed Russia’s World Cup organising committee. The Kambolov case is hugely significant because it ends any debate that football as a sport benefited from Russia’s notorious scam — or that FIFA knew that but still judged Russia fit to host this World Cup. At the height of the scam that corrupted the Sochi Games, Russian elite athletes were routinely asked to provide clean urine to Rodchenkov’s lab in case they tested positive for the drugs they were being given. Dirty urine would be swapped for their clean urine and their failed tests would disappear. Russia built up a ‘clean urine bank’ of more than 10,000 samples for this purpose. By 2015, when Kambolov was busted for steroids, Russia was under intense scrutiny for doping so Russian sportspeople were no longer being asked to illegally ‘bank’ clean urine in case they failed tests. 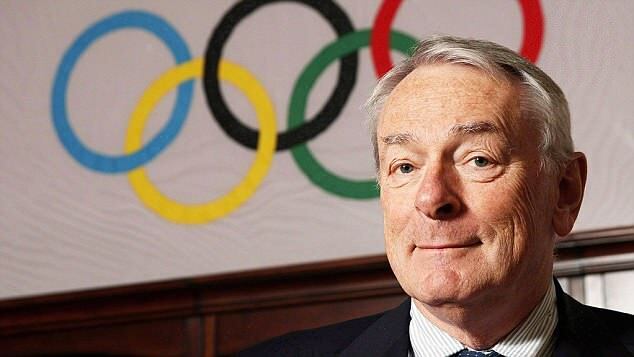 ‘There was no clean urine for Kambolov,’ said Prof Richard McLaren, a WADA-appointed investigator who conducted a probe that pieced together evidence of the doping scam. The Mail on Sunday has obtained documents showing Kambolov’s urine most closely matched a modern pentathlete who had ‘banked’ clean urine. Kambolov tested positive in the last week of May 2015 and the urine switch was performed in the second week of June that year by a team run by Evgeny Blokhin, a Russian FSB agent (former KGB), who also masterminded the Sochi doping manipulations for Russia. Documents gathered by McLaren’s team detail the urine swap, as do Rodchenkov’s diaries and 2018 testimony, written and oral. All this evidence was available to FIFA, who have apparently secretly ‘cleared’ Kambolov of all charges personally. Kambolov was withdrawn ‘injured’ from Russia’s World Cup squad last month, as FIFA were preparing a statement saying no 2018 squad member had been guilty of doping. ‘You have to draw your own conclusions why he was withdrawn but it seems clear to me,’ said McLaren. The Russian FA, Sports Ministry and Mutko all failed to respond. FIFA cannot be trusted. They have demonstrated over decades that they cannot be trusted. This is an organisation that have been proven utterly corrupt, morally bankrupt and frequently criminal. New president Gianni Infantino has done nowhere near enough to prove his ‘new’ FIFA are much different from Sepp Blatter’s. Russian sport cannot be trusted. The sports ministry, backed by state money and support, systematically corrupted Russian sport via doping and cover-ups, cheating their way to glory at London 2012 and Sochi 2014 to name just two Olympics. Russia has never admitted full liability and never said sorry. Governing bodies, in general, cannot be trusted. The International Olympic Committee were explicitly warned eight months before Sochi that Russia would corruptly manipulate the event via doping and the IOC insisted: ‘That won’t happen.’ It did. So everyone in sport has been conned by Russia before and Russia lied about it. Fast forward to the 2018 World Cup in Russia. Would you trust FIFA on integrity issues? Would you trust Russia on doping? There is no reason you would trust either. And that is before you learn that FIFA have, for 18 months, had documentary evidence of Russian footballers allegedly implicated in the state-sponsored doping and cover-ups. And kept those secret. And taken no action. With FIFA and Russian sport in tandem, it is impossible to trust in anything you see. FIFA could start to address that. But do not hold your breath.